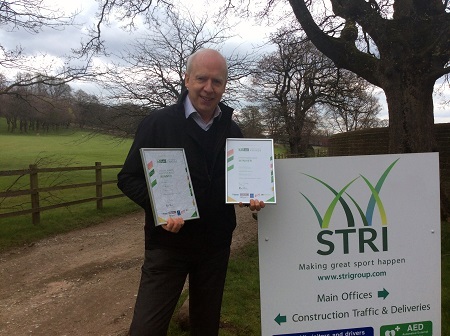 STRI Group, the world’s leading sports surface provider, has received two accolades at the prestigious Association of Landscape Contractors of Ireland Awards (ALCI), which celebrate exceptional landscape projects. STRI beat fierce competition to claim the overall winner in the Sports ground category for design and consultancy at Craven Cottage Stadium, home of Premier League side Fulham Football Club, alongside landscape contractor Clive Richardson Ltd. (CRL). James said: “We are thrilled to have been recognised for our consultancy and design services during the reconstruction of Fulham’s pitch.